Some nights, Corcoran O’Connor dreams his father’s death. 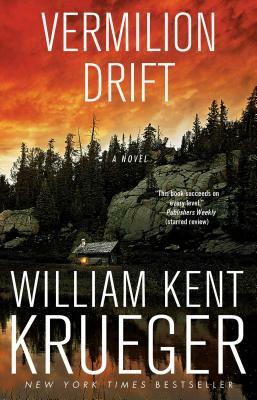 William Kent Krueger’s gripping tale of suspense begins with a recurring nightmare, a gun, and a wound in the earth so deep and horrific that it has a name: Vermilion Drift. When the Department of Energy puts an underground iron mine on its short list of potential sites for storage of nuclear waste, a barrage of protest erupts in Tamarack County, Minnesota, and Cork is hired as a security consultant. Deep in the mine during his first day on the job, Cork stumbles across a secret room that contains the remains of six murder victims. Five appear to be nearly half a century old—connected to what the media once dubbed "The Vanishings," a series of unsolved disappearances in the summer of 1964, when Cork’s father was sheriff in Tamarack County. But the sixth has been dead less than a week. What’s worse, two of the bodies—including the most recent victim—were killed using Cork’s own gun, one handed down to him from his father. As Cork searches for answers, he must dig into his own past and that of his father, a well-respected man who harbored a ghastly truth. Time is running out, however. New threats surface, and unless Cork can unravel the tangled thread of clues quickly, more death is sure to come. Vermilion Drift is a powerful novel, filled with all the mystery and suspense for which Krueger has won so many awards. A poignant portrayal of the complexities of family life, it’s also a sobering reminder that even those closest to our hearts can house the darkest—and deadliest—of secrets.